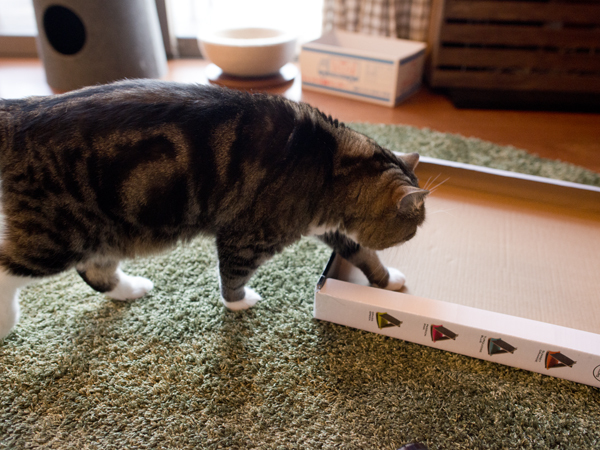 There was the new scratching board in that corrugated cardboard box. 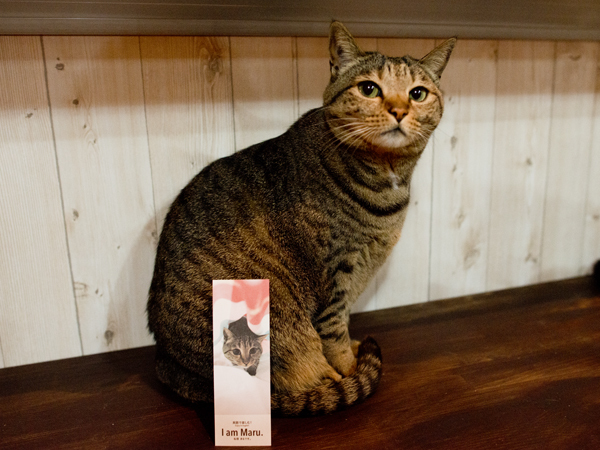 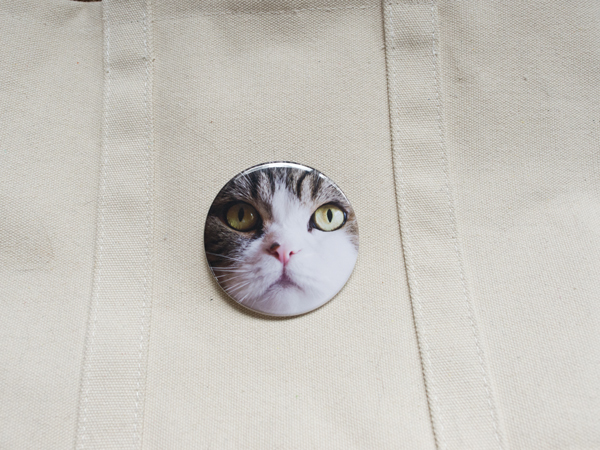 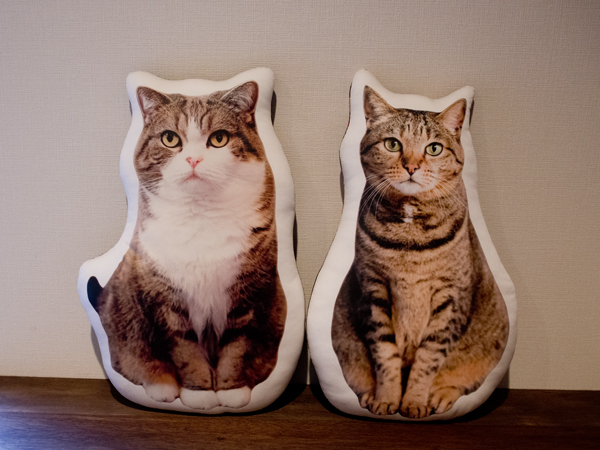 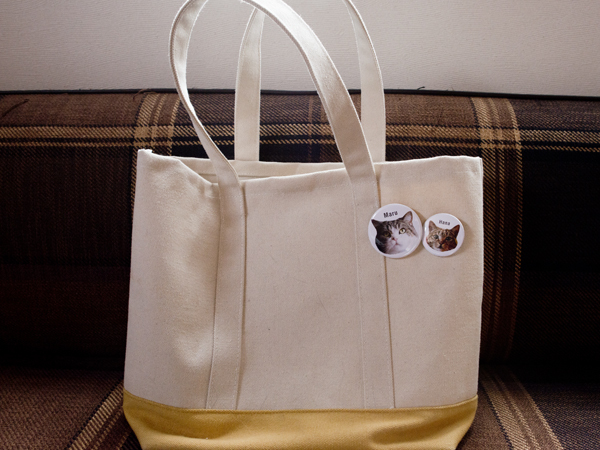 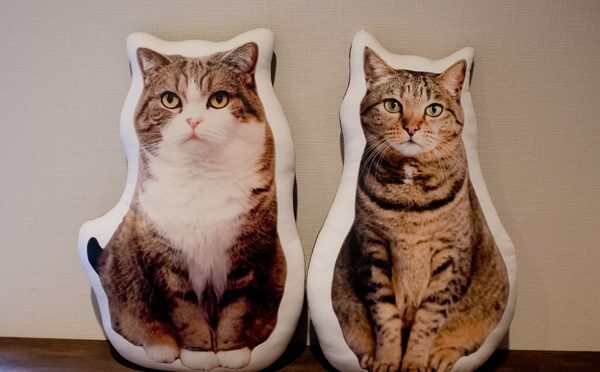 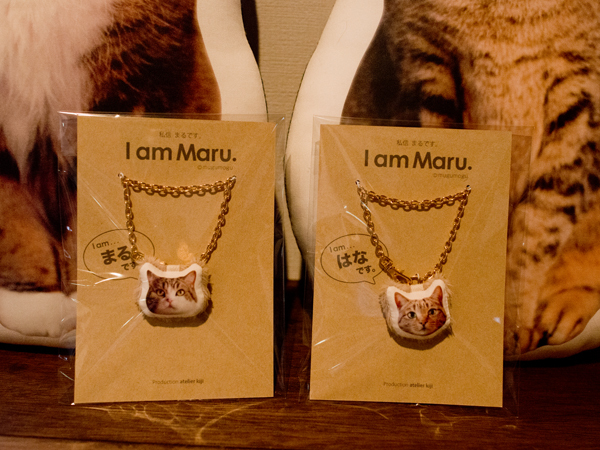 Hey Maru&Hana, this is for you! 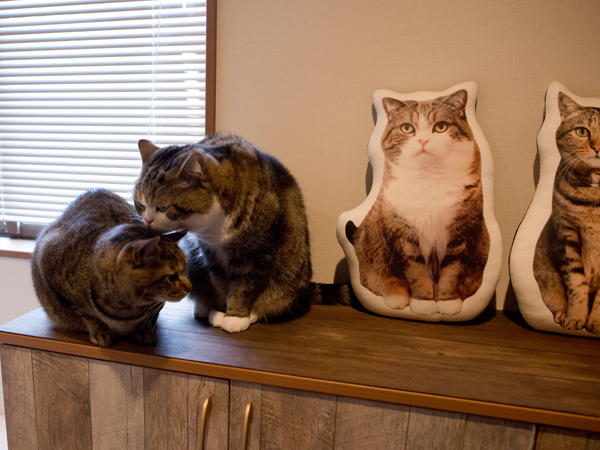 However, Hana was busy to look out, and Maru passed by the side. 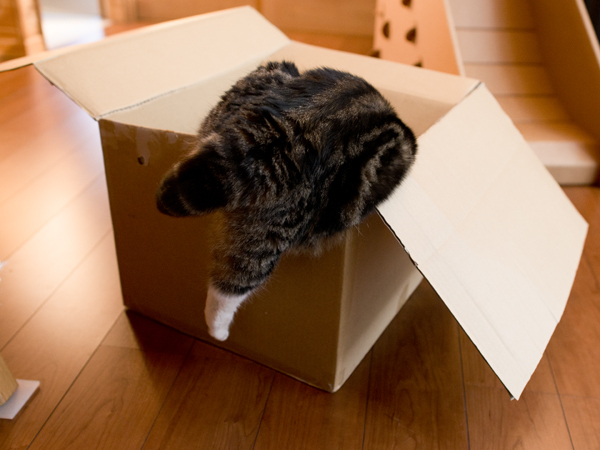 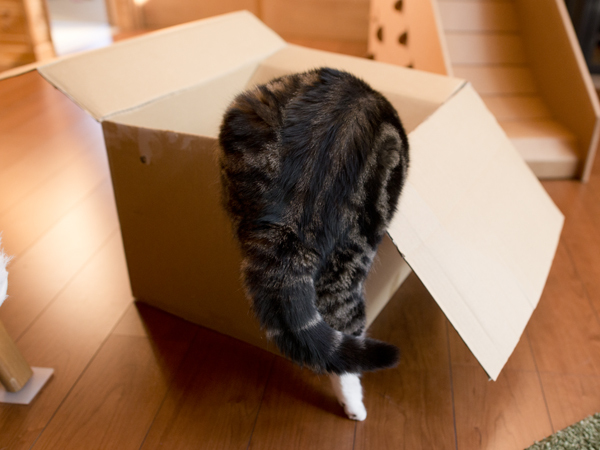 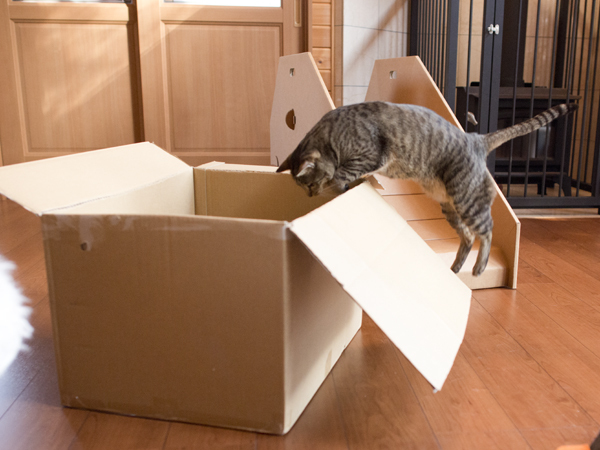 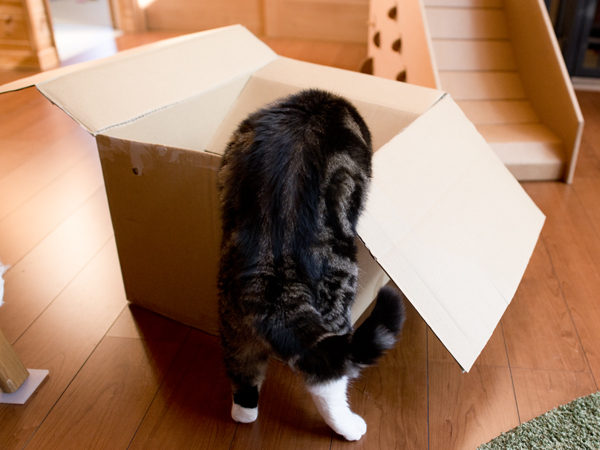 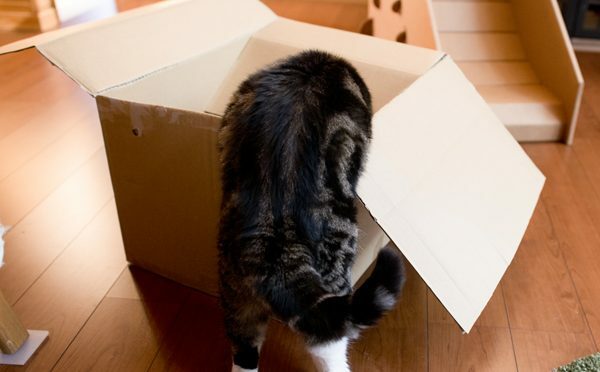 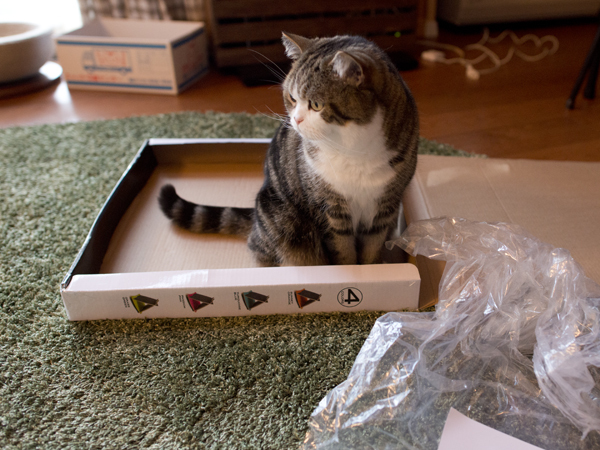 Maru:[This is an extremely common box. 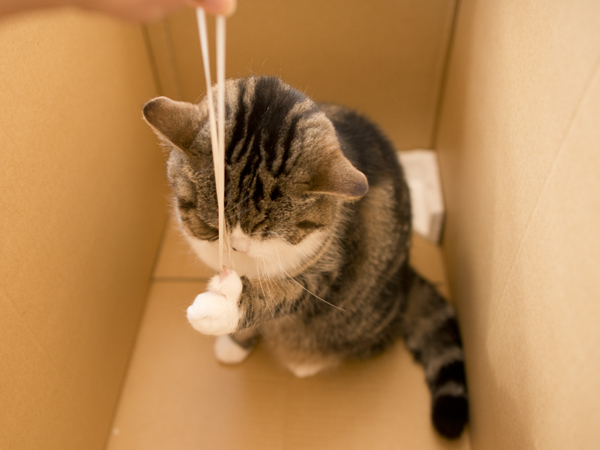 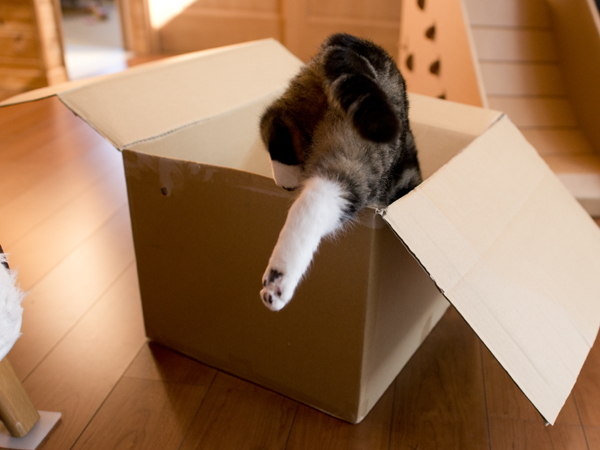 Maru flowed into the box like a liquid. 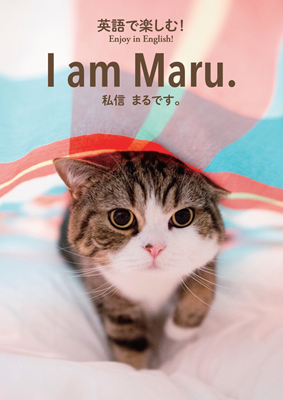 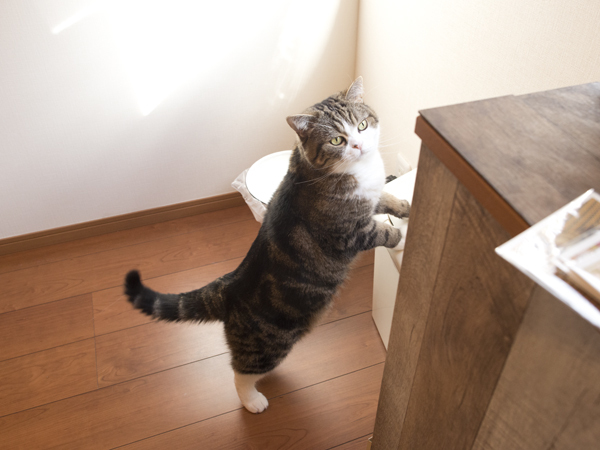 Hey Maru, please jump like a cat. 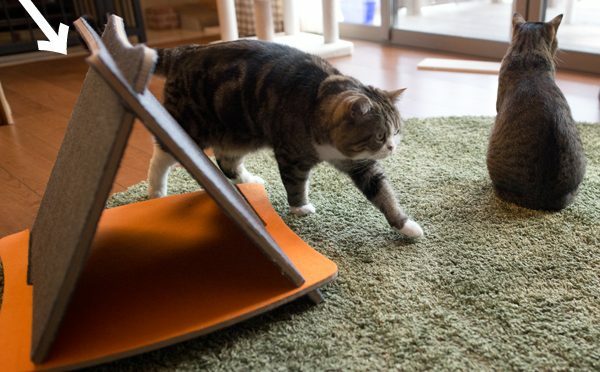 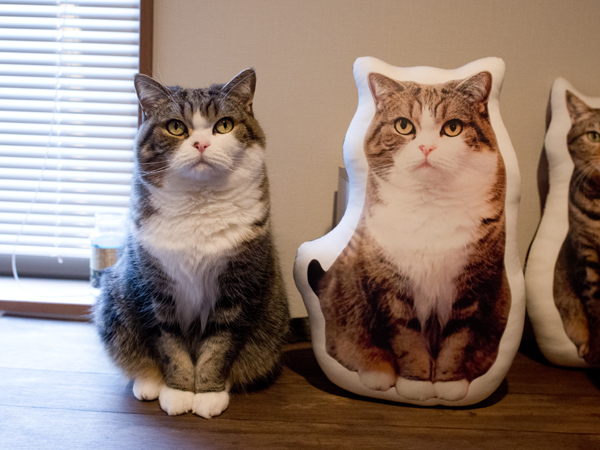 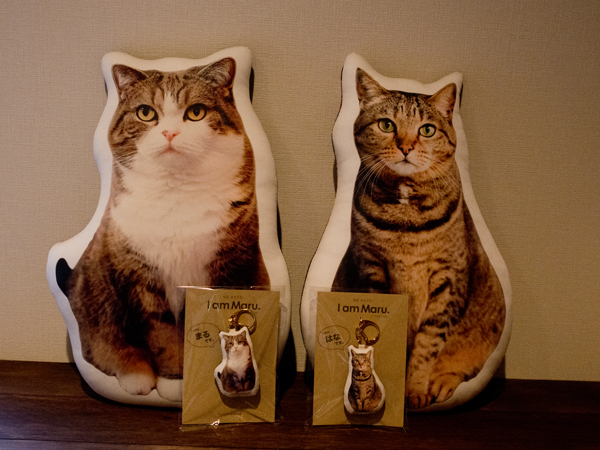 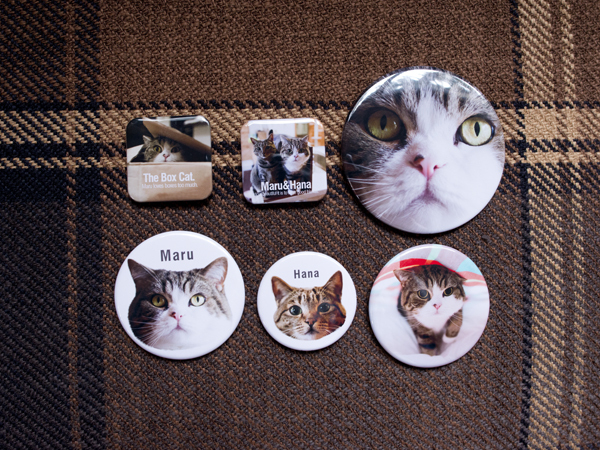 When I begin work, Maru&Hana gather immediately. 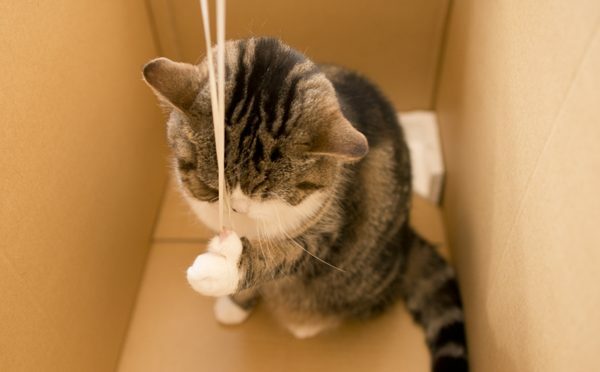 Therefore I stop hand and play with them. 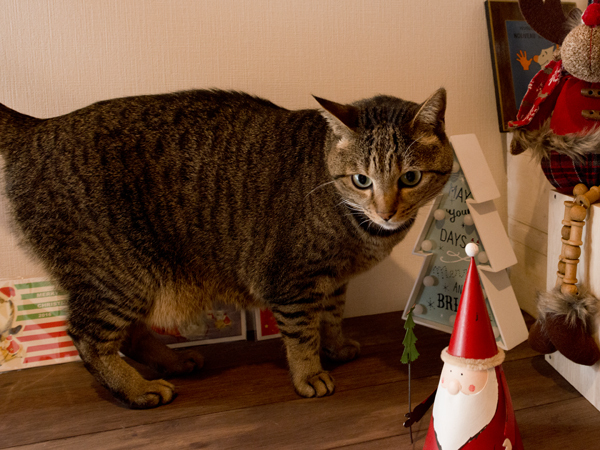 It will be the Doll’s Festival tomorrow! 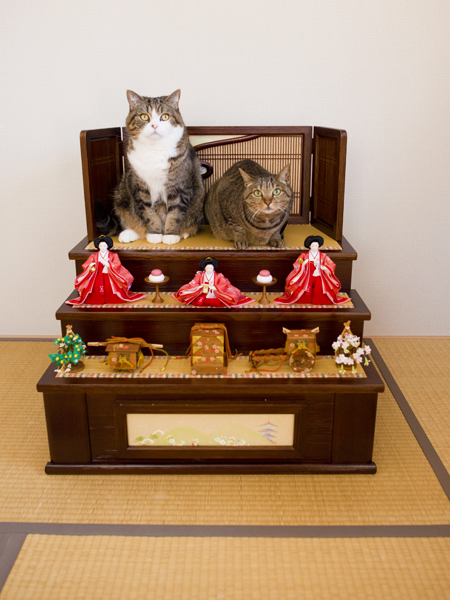 Maru Ｅmperor & Hana Empress! 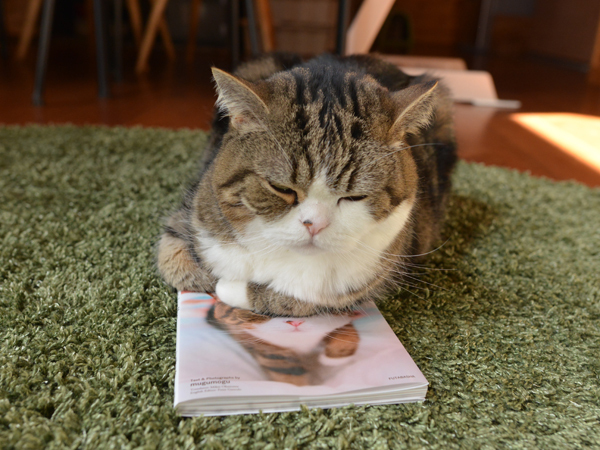 This is news about the new book release. 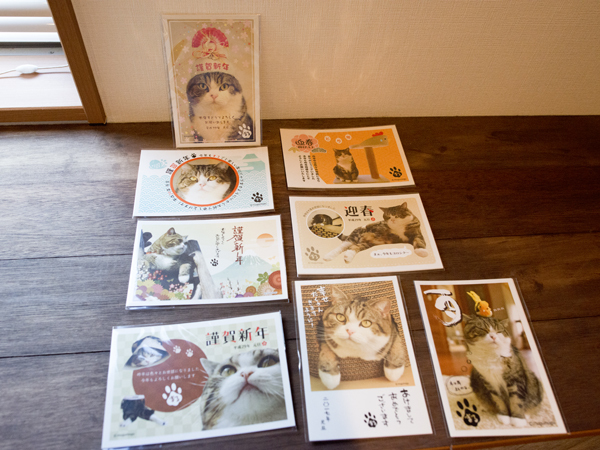 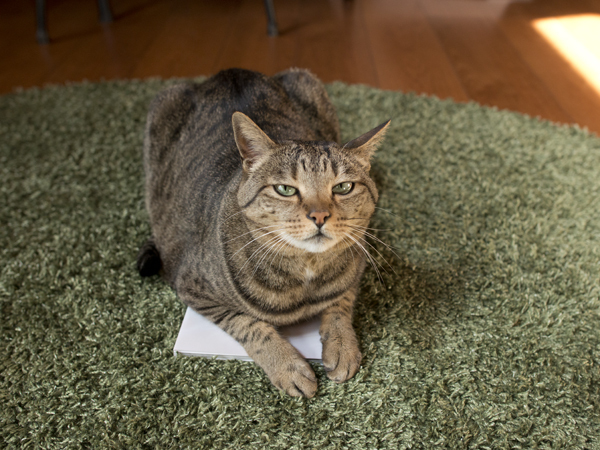 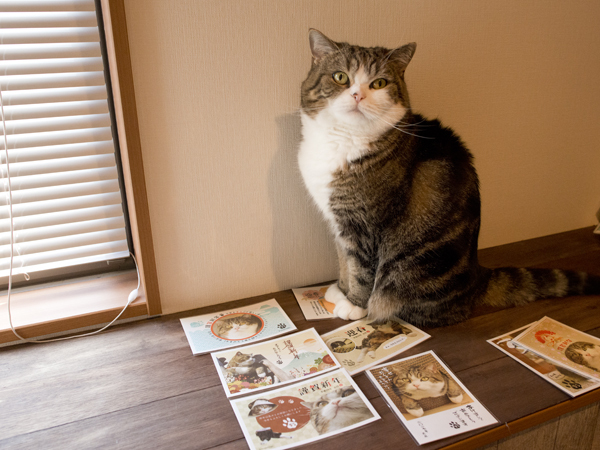 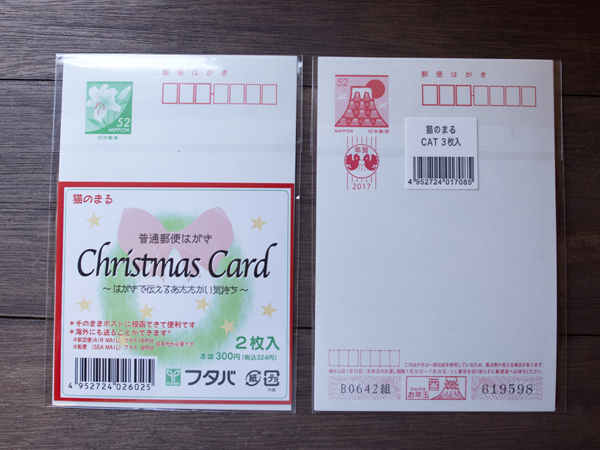 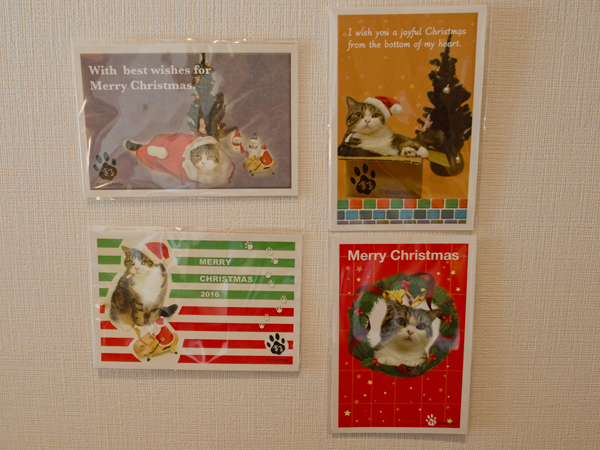 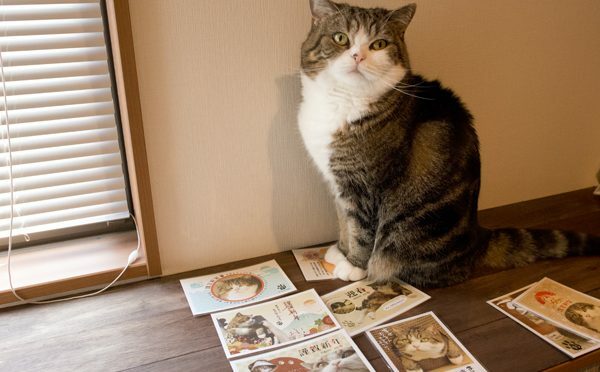 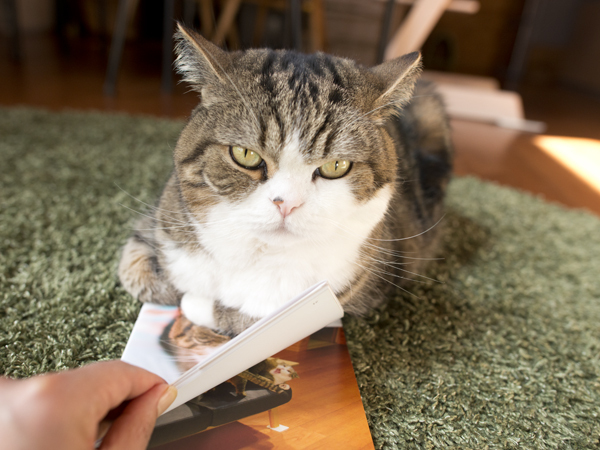 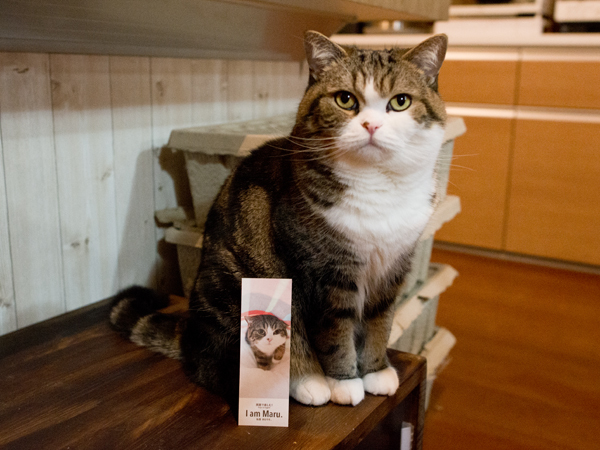 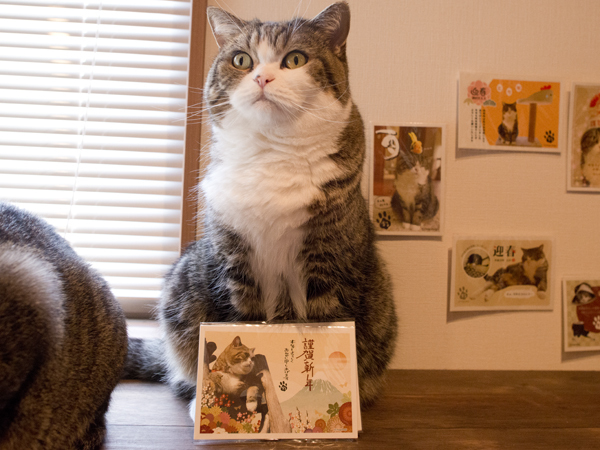 Today’s article is news about Maru’s New Year’s cards and Christmas cards release.